Scott, could you please suggest a type of course or book to read to improve one's chances of getting published? I have received rejections off and on since the 70's and monthly since 2003. I have accumulated well over 200 rejections from main stream publishers, and some on requested full manuscripts. I publish a weekly newspaper in which I write feature articles, attend writing conferences and have read over thirty books on crafts. Yet my latest R's say... on the right track … or are form rejections. In desperation I published 100 of my old ms's on Amazon under three different names, hoping to receive feedback. While many of the stories have been read or purchased, I have only received four feedback, all nice ones. Do you advocate book doctors or services that edit? Just curious of your recommendations. Love Strunk and King's on writing, and Writing Killer Fiction by Wheat is one of my fave's. Evidently I'm slow getting it, but so want to master the art of writing romance. I thought I would go ahead and answer this one as a full post here. I will simply say that any of the books out there, or any of the blogs you read are fine. There is, however, no magical book that is going to increase your chances. That success is how well you digest that information you read and how you apply those skills. What I see is something you sort of hinted at in your questions. You stated you might be "slow getting it." This is something I do believe a lot of writers struggle with, so do not feel alone. I saw many at the RWA conference as well in the same boat as you. There is this belief that if you take that workshop on "How to write that query letter to get you published" or read that craft book like you have done that says, "Follow these steps and you will get it!" is the magic formula. This is not the case. Let me explain it with the following chart. If you are not familiar with Bloom's Taxonomy of Learning, Let's work our way through it. As you move your way up the pyramid, you are getting into deeper and deeper levels of thinking. What you will notice is that it is that top layer where the writing actually starts to happen. The Remembering layer is simply that point where someone says GMC and you say, "Oh, that's Goal Motivation and Conflict" You have heard the terms and can probably give us a textbook definition and that is it. The Understanding layer is where you can probably define it in your own words. You get the purpose of it but it is still at a basic level. The Applying Layer is really where, I do believe, so many writers are currently at. They can talk GMC. They can put the GMC into their stories. They can use those worksheets you get from the craft books or workshops and do it correctly, but at this point, it is still basic. Writers can tell us what that GMC does, but really are not sure on the Why and How of it. When we reach the Analyzing layer, this is where you can start to read other author's works and see how the story ticks. This is where you can truly see what other people are doing with their GMC and see how it is working in their story and then be able to return to their own story and study what is or is not working. Unfortunately, for so many authors, all they see is that they are using that GMC but cannot determine again, the why and the how of it. THIS is where I believe you are getting hung up. 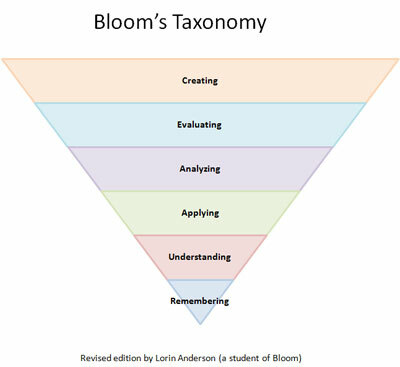 The How To craft books are just giving you the tools but it requires moving further up that Bloom's Taxonomy to get there. Now we get to the Evaluating layer. Once you can do that analysis and see how that GMC works in their story, or you can do an analysis and see several different ways authors use that GMC, you should be able to determine which approach is best for your particular situation. Finally we hit the Creating layer. This is where you simply are writing and using the correct tools from your repertoire of skills to produce that amazing manuscript. You are not just copying what other people are doing and you are not just using tools because someone else told you that skill was what you should use. You are using those tools and crafting that story because that is what makes the story good. The stories really were not ready to be published. This is where the Bloom's taxonomy comes into play. You sent the manuscripts to publishers that might accept that sub-genre, but not the voice you write in. This is where the Analyzing later shows up. All of my authors fully study a publisher voice before deciding to write for that publisher. Each publisher looks for different styles (not just plots or genres). This last one deals with the market. Since the Bubble of 2008, publishers are really being picky. There are a lot of writers and not a lot of spaces to put those books. This, of course, means your writing has to be infinitely better. The other thing you stated is that you put your stories on Amazon to get feedback. If you read my post a couple of days ago talking about the self-publishing approach, you can see how many people are putting books out there. In reality, the odds of anyone finding your book among the millions of other books available is tough. It doesn't shock me that you didn't get a lot of feedback. Along the same lines, if these stories were books that had been rejected, let's say because they were not that amazing (Item number 1 from the list above), then the feedback is also not going to show up. In other words, if the stories were not strong enough for mainstream publishing, why would those stories suddenly be strong enough to be self-published? Finally, you talked about recommending "Book Doctors" or "Editing" services. If you want to pay someone to give you feedback, that is fine, but in reality, it is not going to get your book published. That is just one person's opinion on your story. Even then, after you get that feedback, if you are not able to analyze or evaluate those comments and then incorporate those ideas into your story naturally, you just spent a lot of money that is not going to get you much. Remember, these people do not write your story for you. They tell you what they thought was not working and give you suggestions how to fix the problems. It is up to you to know how to make those changes individually. I know there is a lot to think about here. I also know that you might be thinking that this is depressing. I will again return to saying there is no "right" book to study, or "right" workshop to take. To get to the point the story can be published and the rejection letter's stop takes moving behind just following the steps someone else tells you to do, and to internalize those steps and get higher up Bloom's taxonomy. I have taught a workshop in the past on Dissecting A Novel. This is where authors take the time to truly study their writing as well as the writing of published authors to figure out what is working and not working. Time and time again, I hear comments from authors telling me this is really difficult to do. Writing is not an easy skill. It takes time to acquire the talent. This is part of the reason why there are a lot of writers out there struggling like you and only a few that really seem to have made it. I recommend to continue working at the craft. Continue learning. Can I promise you will get there? No. But if you can start to internalize that learning, you may be increasing your chances of getting published. Wow. How can I ever thank you enough. 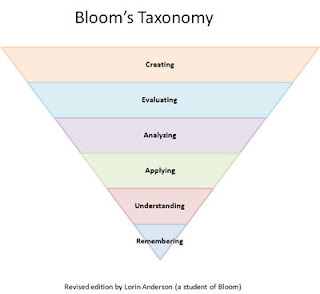 I had never heard of Bloom's Taxonomy before. I really appreciate you taking the time from your busy schedule to answer my questions. From reading your blog religiously for many many months, I am learning a lot about the business that isn't readily available out there. It does help me change my perspective and view. For now, the $20 bucks a month from Amazon will be spent on craft books as every time I read or reread one, I learn something new. Plus the local library orders craft and reference books for me and from them I take copious notes. Thank you again! You made my day.